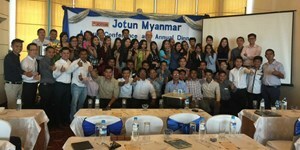 Since I started working with Jotun Myanmar Co.,Ltd, I found that everyone respects company policy and 4 core values (loyalty, care, respect and boldness). 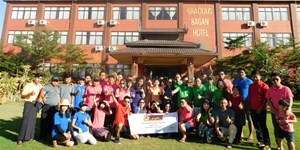 Really care and help each other, working as a team and I feel that very great environment. Proud to be a penguin, love my job and all my colleagues. Penguin succeed together. The reason why I love to work in Jotun global company is all penguins are really implementing in their core values of loyalty, care, respect and boldness to further help each other to reach individual goals. Join the colorful world of Jotun and meet our penguins from different cultures!!! 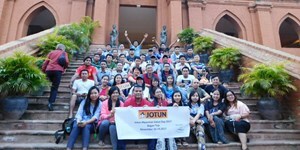 As an international group of companies, covering the whole value chain, Jotun has a variety of working areas and we offer wide range of career opportunities. Join the colorful world of Jotun. 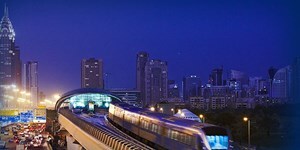 Jotun ensures safe working conditions for both employees and contractors. 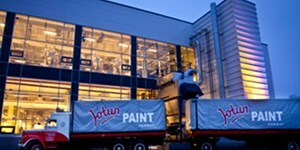 In Jotun, the statement "I Care" demonstrates our individual ownership and commitment to HSEQ.